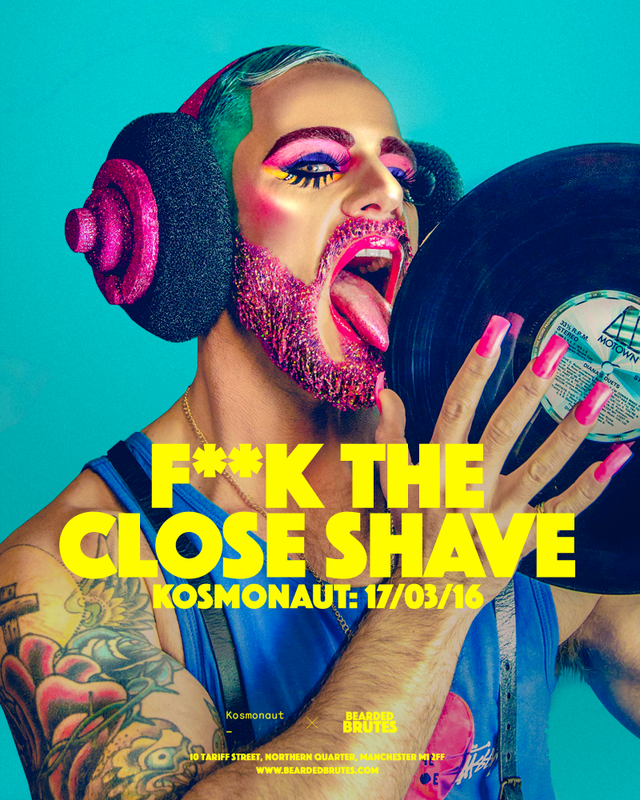 On Thursday 17th March Northern photographer and filmmaker Mark Leeming launches his brand new exhibition, Bearded Brutes, at Kosmonaut fusing masculinity and flamboyance in a captivating collection of large scale photographs. Displaying a series of digitally enhanced images bursting with vibrant colour, sparkle and masculinity via strong kitsch and pop art themes, Bearded Brutes provokes thought about the views of gender stereotypes. The conceptual series aims to blur the boundaries of the femme vs masc society driven stereotype and make us question why should we feel the need to be labelled at all? Guests invited to the launch are encouraged to experiment with images themselves with the London Lightbox, London's most forward thinking and socially optimised photo booth, which will be installed in Kosmonaut for the evening. Mark will be adding extra sparkle to the proceedings by glitter-dipping guests on request. Mark Leeming comments "When deciding on the location to house the official launch of the Bearded Brutes series I wanted somewhere that wasn't going to alienate anyone. I wanted a space that felt relaxing, welcoming and above all else that exuded a cool and collective vibe. Kosmonaut fits the bill perfectly from its bare brick interior married with raw exposed steel to the nod to a downtown NYC bar, it feels eclectic yet comfortable. The Brutes' vibrant kitsch quality will really pop and compliment the space perfectly. I steered away from a typical gallery space, I wanted it to be less formal and a much more social space. 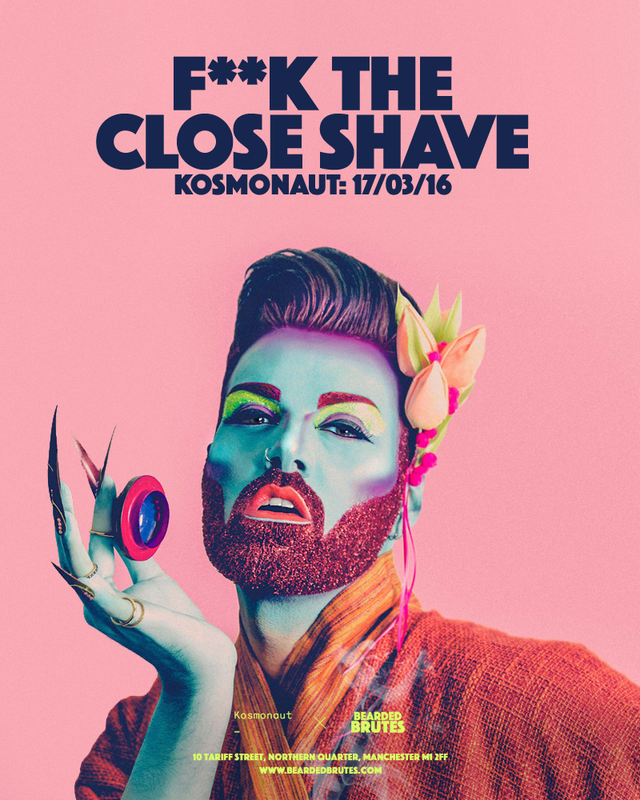 I love the fact that Kosmonaut and PLY embrace the local arts scene too, giving us up and coming artists a true platform to showcase our work"
Bearded Brutes is the latest instalment in Kosmonaut's ever-evolving arts programme joining the work of Swifty, Dr ME, Lisa Stannard and the Mancorialist. The exhibition runs from Thursday 17th March to Sunday 10th April throughout the venue.